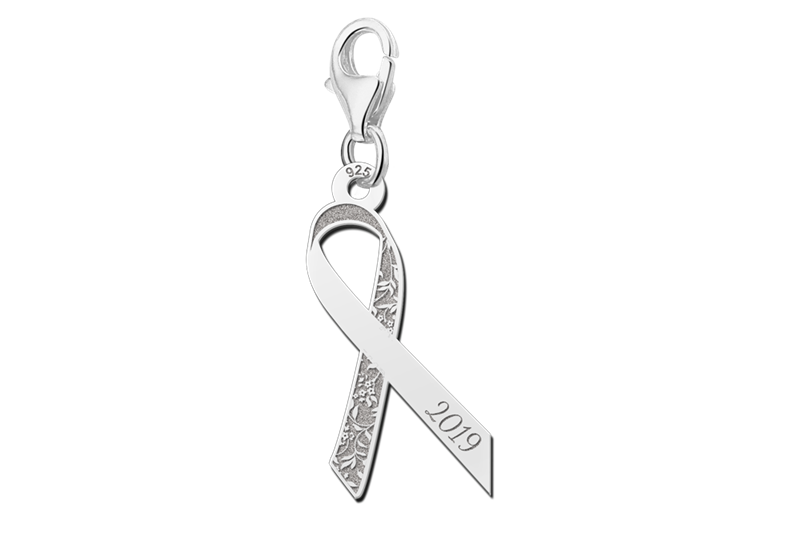 With the purchase of one of the Pink Ribbon jewelry from Names4ever you automatically support breast cancer screening. 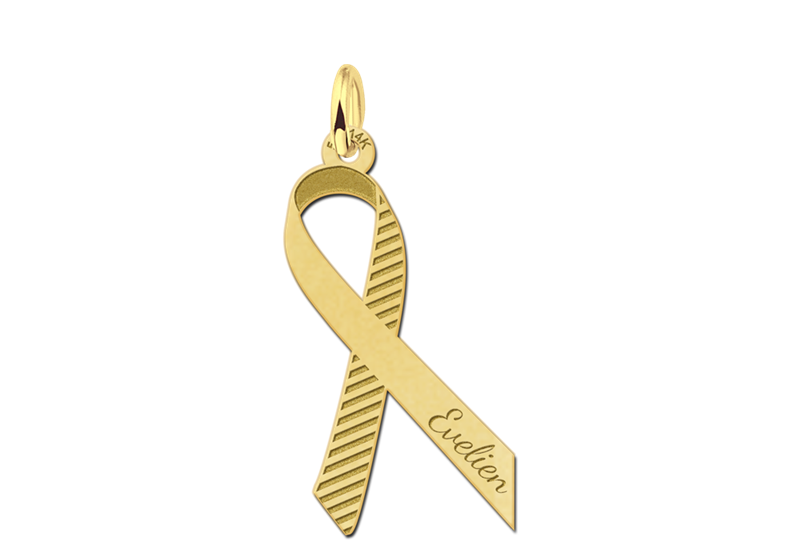 Names4ever donates 33% with every piece of jewelry sold from the Pink Ribbon jewelry collection. 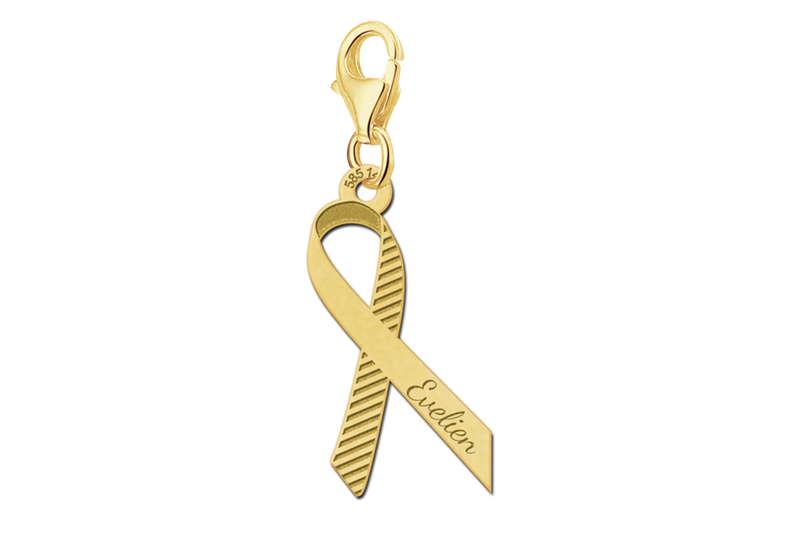 There is a choice between Pink Ribbon charms and Pink Ribbon pendants which can both be personalized with a name or date. 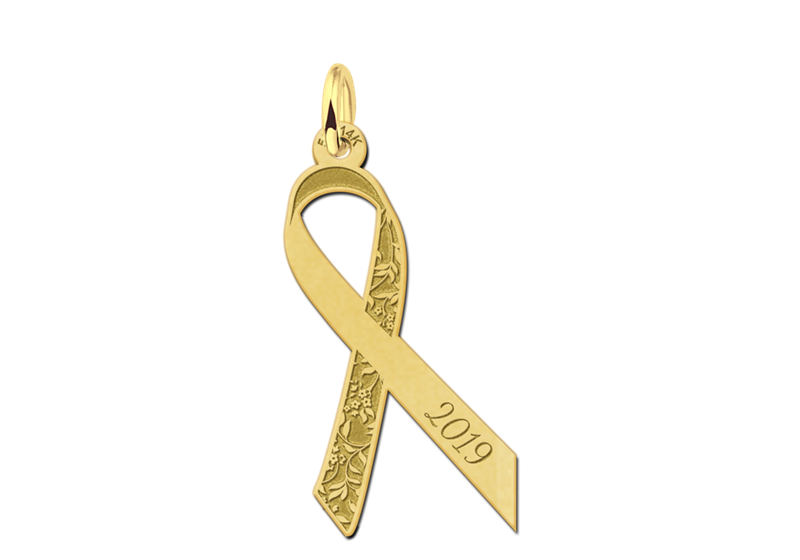 In this way you show that you want to support Pink Ribbon in breast cancer research and you can also have a personal message engraved in the jewelry. 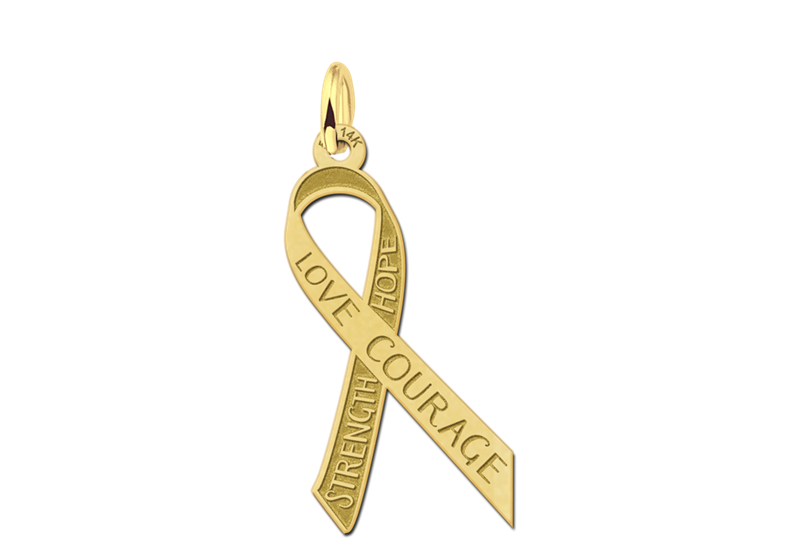 All Pink Ribbon jewelry are made in the form of the Pink Ribbon logo, which symbolizes the support of breast cancer patients. Furthermore, all our jewelry are personally made for you and produced in the highest quality 925 sterling silver or 14k gold. 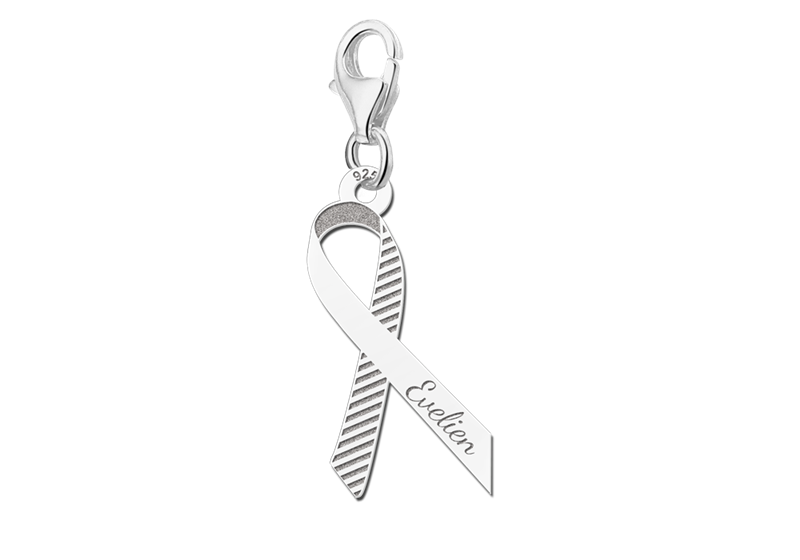 The Pink Ribbon charms have a carabiner with which you can easily attach the charms to a bracelet. 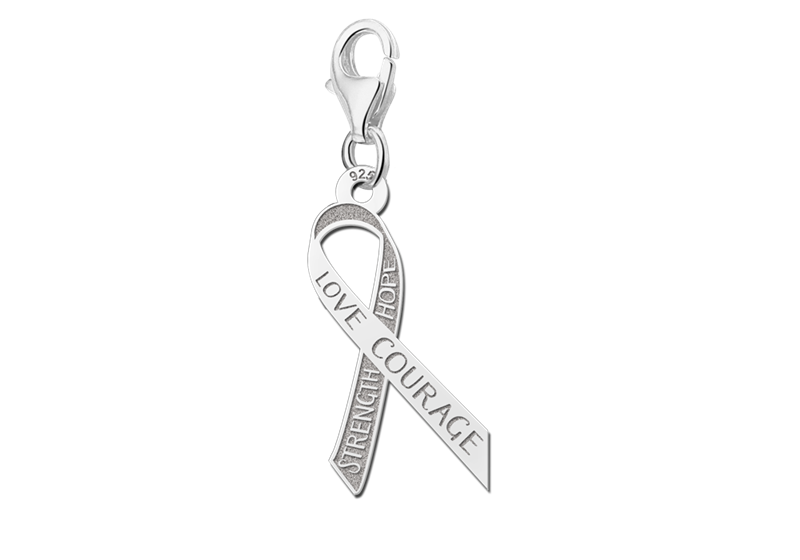 The size of a Pink Ribbon charm is about 22 x 11 mm. The charms of the Pink Ribbon jewelry collection made by Names4ever have different motifs and on each charm you can have a text or date engraved by us. 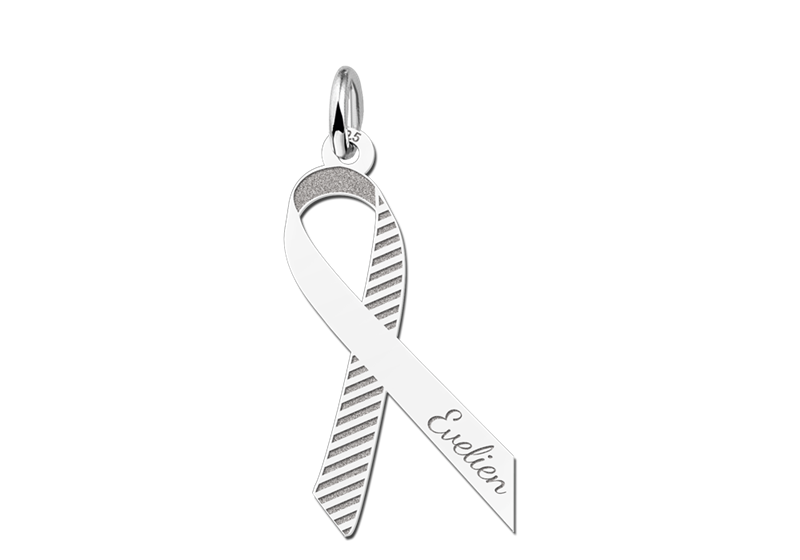 Our Pink Ribbon pendants have a standard eyelet that makes it easy to hang the pendant on a silver or gold chain. 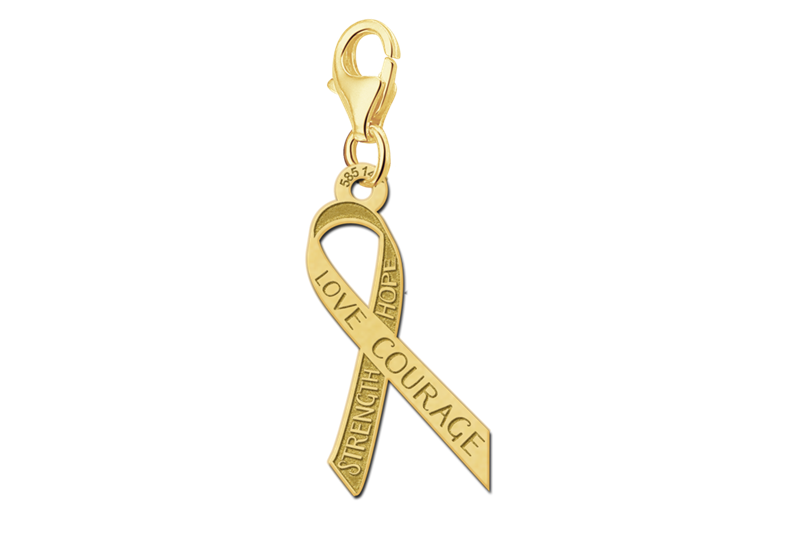 It is also possible to directly order a necklace at the Pink Ribbon foundation. 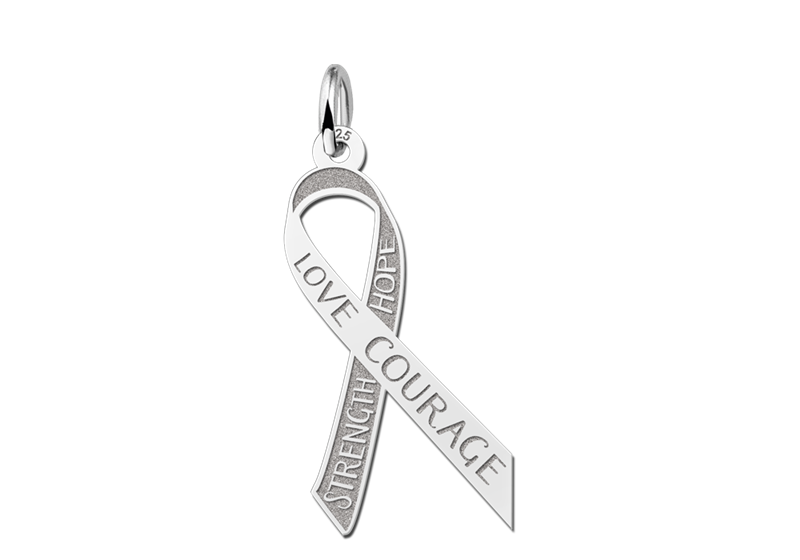 A Pink Ribbon pendant has a size of about 27 x 14 mm and is made of our best quality silver or gold. 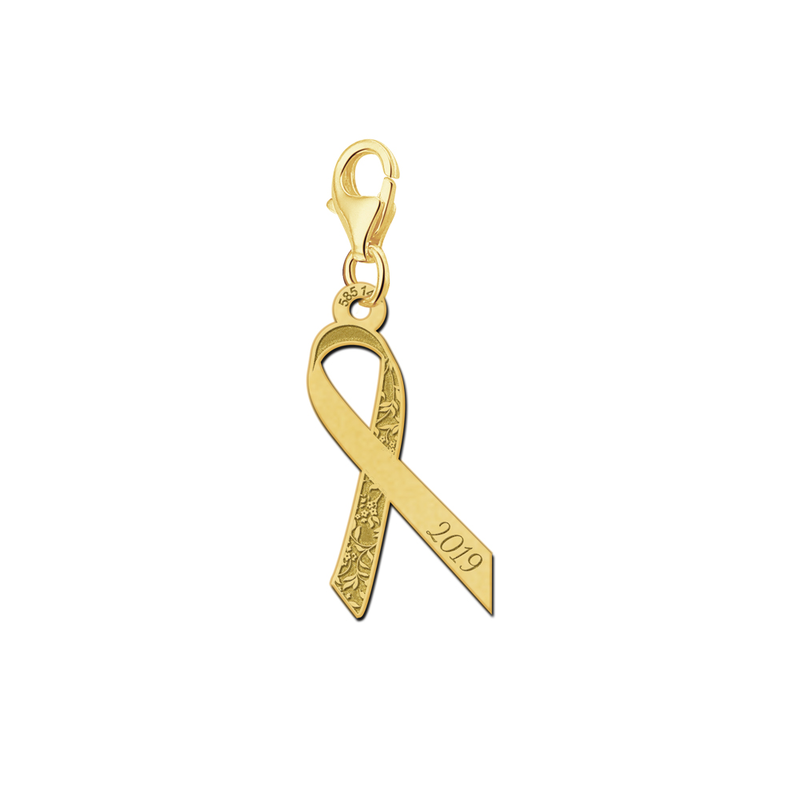 Give your support to Pink Ribbon by choosing the pendant that appeals to you the most. Pink Ribbon Foundation finances scientific research and projects in the field of treatment, aftercare and long-term effects of breast cancer. With the aim of the right treatment and optimal guidance and a better and longer life for every breast cancer patient. Pink Ribbon has already financed more than 150 studies and projects. For more information take a look at: www.pinkribbonfoundation.org.uk/.